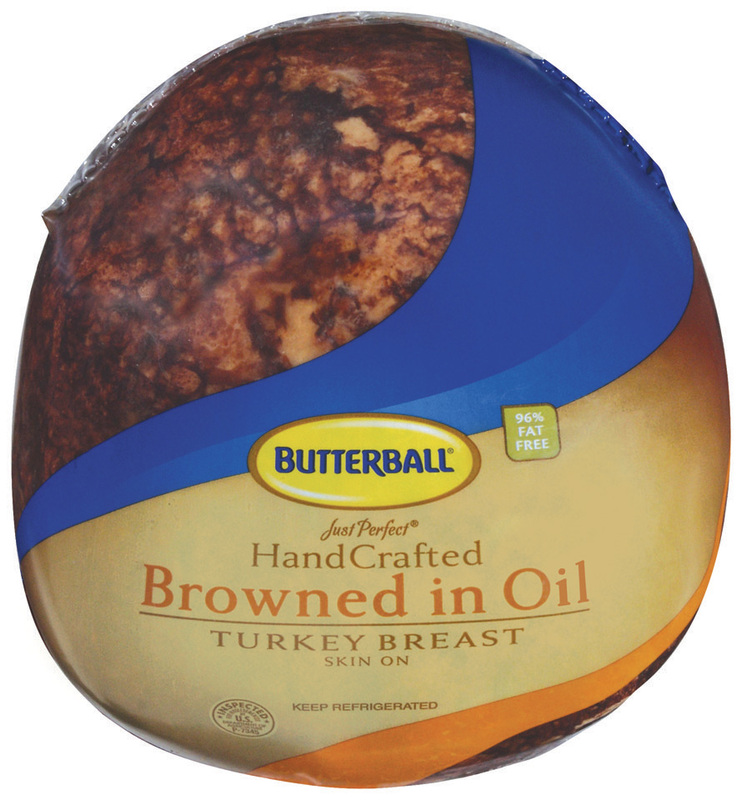 Just Perfect, oven roasted turkey breast, skin-on, browned in vegetable oil, natural shape A variety of seasonings and flavors make this product ideal for exquisite presentation. Each hand-crafted, skin-on, three-piece breast is lightly seasoned and braised in oil. Clean label, whole-muscle and traditional pan roasted shape makes this a versatile item for gourmet sandwiches and center-of-the-plate presentation. Made from only fresh breast meat for superior flavor and maximum customer satisfaction. This clean label, oil browned product contains no additives or extenders for superior texture. Product is whole muscle to deliver superior texture; perfect for center of the plate applications. The product is pan roasted for a natural appearance, then oil browned; perfect for carving stations or gourmet sandwiches. ABOUT SAMPLING OUR Just Perfect Handcrafted Browned in Oil Skin-On Turkey Breast.